HP Notebook Inc. and world-renowned designer Vivienne Tam on 9th September 2008 in New York City Fashion, announced they are working together to create a special edition notebook positioned to become the ultimate tech accessory for fashionistas around the globe. The New Notebook HP Vivienne Tam is special edition notebook represents the first time a computer company has partnered with a globally renowned designer to create a notebook PC that offers all the style and power needed for a delightful technology experience. Vivienne Tam is a leading designer fashion house founded in 1994, She said that The new notebook HP fashion design is a true reflection of the needs of a modern woman who cares about fashion but is also passionate about her technology. On the top lid of new notebook HP designed with gleaming red and bursting with peony flowers (a unique blend of Asian and Western cultures, antiquity and modern style, technology and fashion). The new HP notebook fashion also features a complementary embroidered storage sleeve that helps keep the exterior protected while being carried as a clutch. The new portable computer system from HP is HP's intention that the newly designed notebook becomes the new must-have digital "clutch" on every catwalk out there. The 10-inch widescreen make The notebook HP Vivienne Tam looks like a UMPC-style notebook, but there's just no word at all on the specs of the device. The new HP notebook fashion Vivienne Tam are will be available in the United States and they were expected to be available early next year in the worldwide. 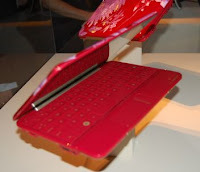 The others specification from the notebook Hp fashion design will be available in the news at near time by Hp company. Dell Inc. in December 2007 launched an amazing notebook computer Dell XPS M1530, this is one of Dell company effort in order to listen to the customer feedback criticizing Dell’s older, thick and heavy laptops. The Notebook computer Dell XPS M1530 is an impressive 15.4" screen notebook designed similar to (just larger than) the very successful 13-inch XPS M1330. The Dell XPS M1530 is a Notebook computer that very powerful multimedia notebook, which sets a high standard for competitors. Notebook computer Dell XPS M1530 running at Core 2 duo CPU and Geforce 8600M GT with GDDR3 memory in a high-quality. The Dell XPS M1530 notebook computer measures 357 x 263 x 24mm with a weight of 2.6kg covered with aluminum case. The design of the Dell XPS M1530 is completely different. It is very thin and extremely elegant, less than 1 inch thick, but the notebook overall is wedge-shaped going to almost 1.4 inches thick at the rear. 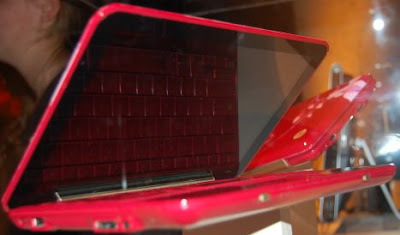 The Notebook computer Dell XPS M1530 is available in 3 colors for the back of the lid. 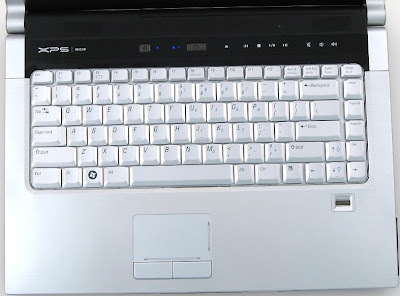 The design and look between Notebook computer Dell XPS M1330 and Dell XPS M1530 are mostly the same, the keyboard feels the same, the touch sensitive controls are replicated and for the most part the ports are the same (though you do get an extra USB 2.0 port on the M1530). There are some notable differences other than size between the M1530 and M1330, The M1530 can be configured with a more powerful Nvidia 8600M GT graphics card for boosted gaming performance over the XPS M1330 that only offers up to the Nvidia 8400M GS. 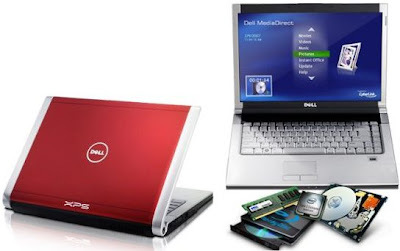 The Notebook computer Dell XPS M1530 also offers up to a 2.80GHz Intel T7800 processor, whereas the XPS M1330 tops out at an Intel T7500 2.2GHz processor. So, We can say that the The Notebook computer Dell XPS M1530 is having good performance metrics than Dell XPS M1330. The Notebook computer Dell XPS M1530 comes with two choices for screen resolutions, 1440x900 and 1680x1050, which are way more respectable than the 1280x800 resolution that Dell XPS M1530 was initially launched with. 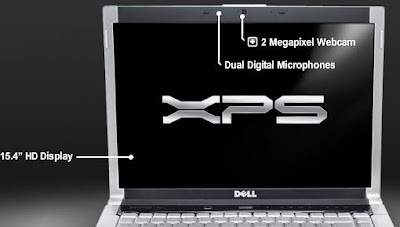 Dell XPS M1530 is a Notebook computer provided 2.0MP web cam with the standard thicker CCFL screen. The Dell XPS M1530 is a solid addition to the Dell notebook computer lineup, The Notebook computer Dell XPS M1530 features with a 1.5GHz Intel Core 2 Duo, 160GB hard disk capacity, ample 2GB of RAM and a slot loading dual layer DVD writer. Acer is just one manufacturer vying for our attention amid the furor over the new laptop, and it's hoping the Aspire 8920G will re-interest us in full-size laptops. Acer Inc. has unveiled two new multimedia which oriented laptops with unconventional screen sizes, the 16-inch Acer Aspire 6920 and the 18.4-inch Acer Aspire 8920. Both of them are part of what they called as the Gemstone Blue series. The Laptop Acer Aspire 8920G is the first laptop or notebook to break the True 5.1 Dolby sound barrier and Acer puts a whole new spin on multimedia controls, with its dedicated futuristic control panel. The Aspire 8920G "Gemstone Blue" series emerges to wow high-definition aficionados. The Aspire 8920G finds the sweet spot by putting an 18.4-inch widescreen on a system that, at 8.8 pounds weighs as much as some 17-inch models, like the laptop Dell Inspiron 1720. The Laptop Acer Aspire 8920G is features with Core 2 Duo T9300 processor and running at 2.5GHz with 6MB of L2 cache, the latter of which is particularly advantageous when processing a large number of images. 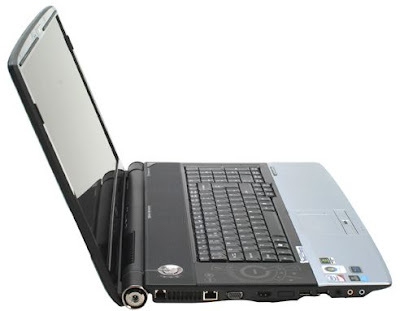 Others specification from Laptop Acer Aspire 8920G are 4GB of RAM, 32-bit system and Windows Vista Ultimate OS, graphics card powered by a 512MB nVidia 9650M GS, for storage you get two 320GB hard drives, 640GB total. There's Wireless-N Wi-Fi for seamless high definition content streaming, an HDMI output and let us not forget about the Blu-ray reader and DVD writer drive nestled in there. The Laptop Acer Aspire 8920G has a film friendly 16:9 aspect ratio and an even more film friendly 1,920 x 1,080 Full HD resolution, It's means Blu-ray or other HD content will fit the screen better look for similar displays from other vendors in the coming months. To the left of the keyboard is the Aspire 8920G’s singular multimedia control panel, called the CineDash. Media control buttons (Stop, Play/Pause, Skip forward, Skip back, Fast-Forward, and Rewind) are arrayed below a circular control with a centered Enter button and mimic the navigation functions of a Media Center remote control. The Laptop Acer Aspire 8920G is clever and effective designed, Combined with Dolby Home Theater Audio Enhancement technologies, including Dolby Pro Logic II and Dolby Sound Space Expander. 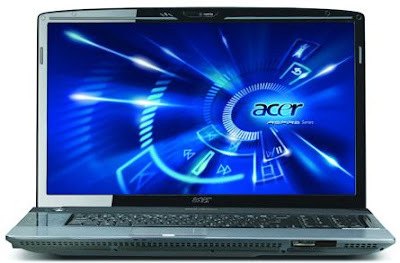 By purchase Laptop Acer Aspire 8920G, You can watch movies with sounded rich and clear.